How many of you have been to KK? How many of you have been to Kinabalu Park? 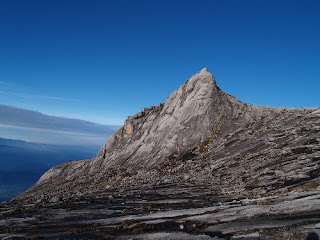 and How many of you have climb Mount Kinabalu? 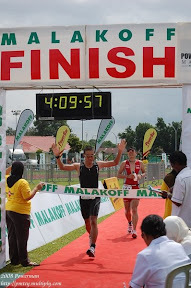 For your records (mengada gada bunyinya) I have climb Mount Kinabalu 2 and 3/4 times. I've reached the peak 2 times in 1997 and 2002. The 3/4 is because I/We only climbed up to Laban Rata and after that descent back to Kinabalu Park just because the organiser of our trips forgot to book us a room at Laban Rata. The Kinabalu Park Management would not allowed anyone to climb up to the peak if you do not have a booked room. Why do we need a room up there? It's because the climb is in 2 stages. The first stage, you climb from Kinabalu Park (1,564m) to Laban Rata (3,273m) and this is done during day time. If would normally takes you 3 to 5 hours to reach Laban Rata. At Laban Rata, you would have a rest, makan makan as there is a restaurant and it is quite expensive. The 2nd stage start at 2am in the morning. That's why it is advisable to sleep by 7pm so that you wouldn't be sleepy. To reach to the peak (4,095m), it would takes you 3 to 4 hours, just enough time for sunrise. Do you need to train? Kalau nda mau sakit sakit after the climb where you will walk like a robot, baik tah training. It's gonna hurt after the climb if you don't train. And worst you could fall sick during the climb because you are not prepared for the penyeksaan. Bukit Markuching or di mana mana yang ada bukit.